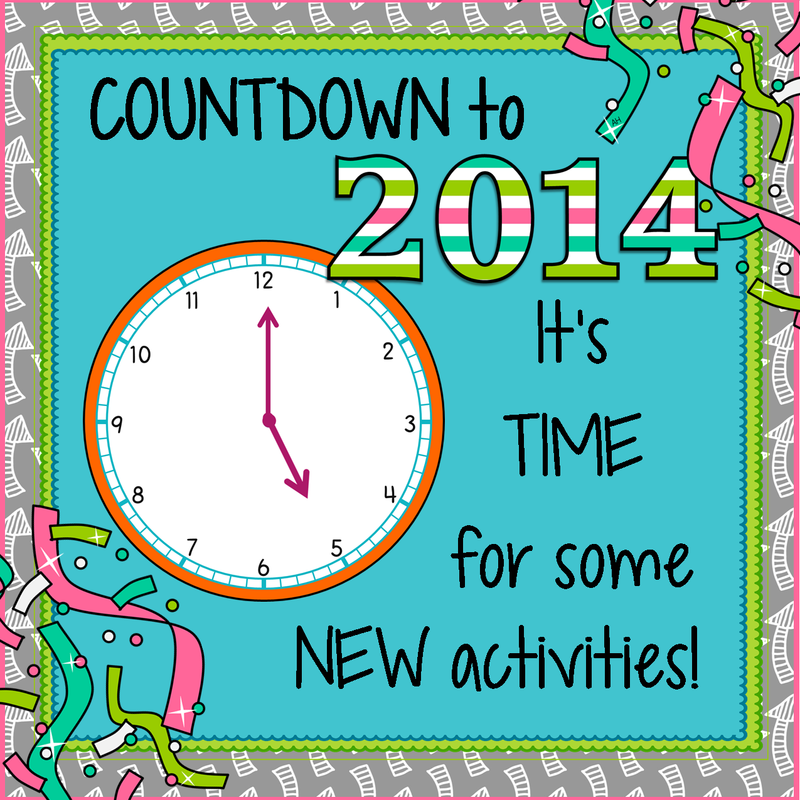 Countdown to the New Year: Time for NEW activities giveaway… 5 to go! It’s been a while since you’ve heard from me! So sorry about that…. December has been full of sickness here! First an upper respiratory issue and then… UGH… the flu. Thankfully, after a 5 days of the flu winning, I turned back into a human on Christmas Eve! Perfect timing! Anyway, enough about why I’ve been MIA. 2014 is RIGHT around the corner. I don’t know about you, but to me I feel like 2013 just got here! Where did this year go? We had some amazing adventures here in our household and we hope that 2014 hold even more! 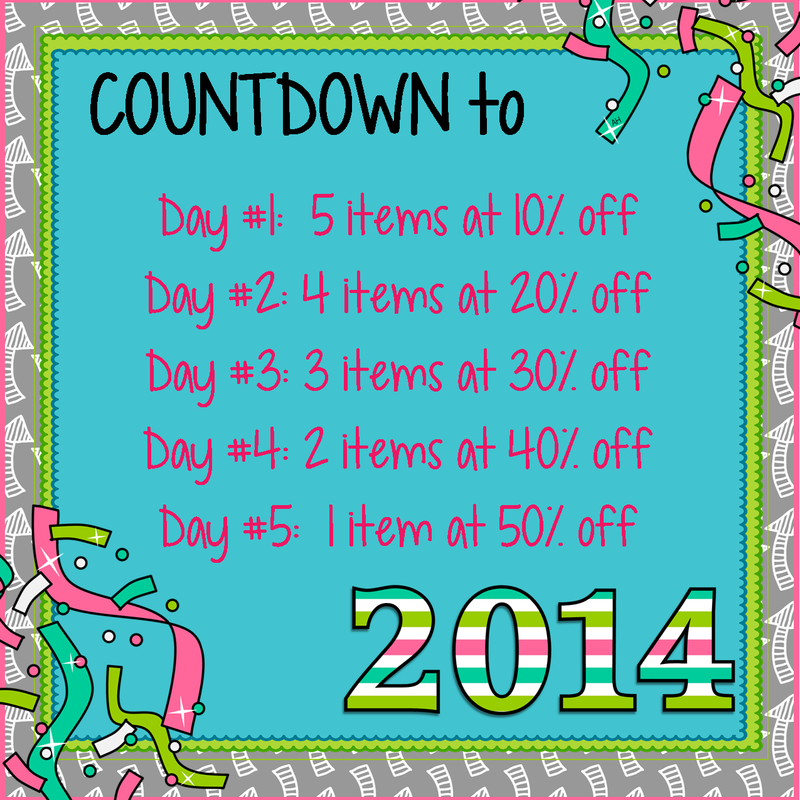 Today is day #1 so…I have 5 items in my TpT Store on sale for 10% off TODAY ONLY until 10pm EST!! Four of these items are my BEST SELLERS and one of them is the current seasonally themed RELAY template! You can check out the 5 items I have on sale below! You can click on each picture to go straight to the product, or use the QR code in the bottom left corner. Great giveaway! My educational New Year’s Resolution is to organize all my units and printables in their binders! My educational New Year’s resolution is to become organized and stay on top of grading! I want to continue my Daily 5 and start Math Daily 3! My educational New Year’s resolution is to continue to work on organizing my room and lessons. My educational resolution is to keep up with the grading! I want to keep up with the grades and keep them posted for parents to see. I want to start using either exit tickets or entrance tickets with my students! I want to get more done during the school day so that I don’t have to stay @ school ’til 5 or 6 plus weekends. Hmm my new years educational resolution is to attend some PD workshops!! I want to dig into writing with my students a bit more! Just trying to get my feet underneath me with all these new curriculum changes this year. Making cool new bulletin boards! My New Year’s Resolution is to plan ahead and be more organized! Implement more elements of Whole Brain Teaching and to set up a good time map for myself that includes work and play! My educational New Year’s Resolution would have to be attending more professional development opportunities so when my license is up for renewal again I won’t have to be rushing to gather my points. I teach Kindergarten and for the next 2 months I will be teaching graphing (picto and bar graphs), tally marks, ordinal numbers and measurement (non-standard and with tools). It sounds like a lot because they try to cram as much in each nine weeks. Since I teach kindergarten I love to use math journal prompts in my classroom. It gets my students a chance to show their understanding of math concepts in their own way. I would love more graphing math journal prompts though.